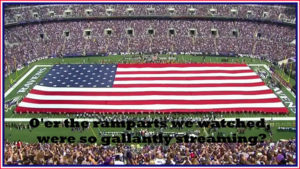 The national anthem is the one song every American singer is most likely to sing in public, certainly as long as there are sporting events on the horizon. “Happy Birthday” may rival it in popularity, but that’s usually a group effort. With “The Star-Spangled Banner,” you are left to your own devises—and expected to sing it a cappella, no less! No wonder it terrifies singers. 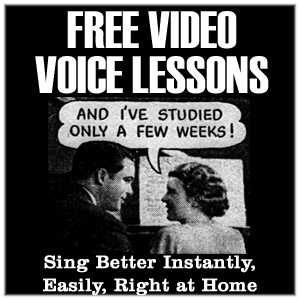 The range is so wide (an octave and fifth) that most singers can barely scan the notes. What’s more, the phrasing invites the singer to breathe at inappropriate junctures. Written by Francis Scott Key after witnessing the all-night bombardment of Fort McHenry by the British Royal Navy ships in Chesapeake Bay during the War of 1812, the poem was set to the tune of a popular British song written by John Stafford Smith. I’d like to provide some tips for taming the beast, starting with the words. Do you realize there are only two sentences in the entire song? And that the first sentence is probably the longest sentences in the history of sentences? Nevertheless it does actually mean something. It’s not just a bunch of gibberish—the words tell a story that makes sense if you phrase it correctly. “Oh, say,” Hey you guys over there. can you see,” What can you see from your vantage point? “by the dawn’s early light,” Now that the sun’s come up. That flag that we are so proud of was still visible on the fort ramparts as daylight faded. “whose broad stripes and bright stars, through the perilous fight o’er the ramparts we watched were so gallantly streaming,” During the battle we tried to see if the flag was still flying. “Oh, say, does that star-spangles banner yet wave,” Is our flag still flying over the fort this morning? Were we victorious in battle? “o’er the land of the free and the home of the brave?” Over our new country? So, when you phrase the anthem to fit the contours of the meaning of the words, you will find that you sing with the commas instead of just anywhere. Very few people sing the national anthem like they believed in it. If you sing it to honor the sacrifices of those who have fought for our freedom, then you should do it well. And, you know, it’s funny how just thinking about what the words mean makes your tone sound better. Check out this video of Renee sing/speaking the Star Spangled Banner and explaining her techniques. 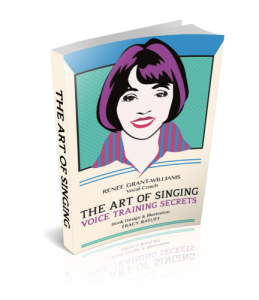 If you enjoyed this blog article it’s just a small sampling of my really cool digital on-line flipbook The Art Of Singing check it out here. Comments are not only welcome, but encouraged. I’ve learned are manifesting themselves. Renee is one of those special people if your lucky you meet in your lifetime. an excellent job. I can’t wait to hear the finished project. Hi Michael, I’m thrilled you liked the blog article. I hope you are doing well.